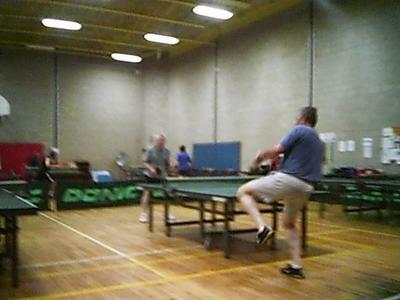 Fairfield Table Tennis Club is in Fairfield, Connecticut, USA. 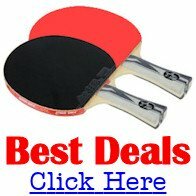 It is operated by Connecticut Table Tennis Association with additional clubs, including at Bethany, CT.
Connecticut Table Tennis Association started in 1990 as Northeast TTA. Take I-95 exit 21, go south on Mill Plain Rd, then left at Post Rd, then Right at Ruane, Right at Old Post, left at Mona Terrace, Right at Sullivan Place. Use Gym doors near Soccer fields. 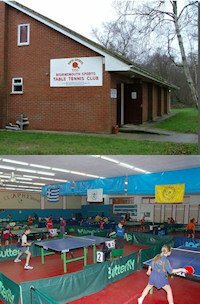 Our table tennis club opened in 1995 and has operated continuously since then, year-round. Visitors are always welcome at our club. We are open Wednesdays 7-11pm and Saturdays 2-6pm all year-round, with Air Conditioning. We have excellent playing conditions in a nice well lighted Gym with 8 table tennis tables (Donic Dehli and Butterfly Tables). Our friendly players are of all ages and their playing levels vary from novice to expert (2200+ USA rating). Our club is professionally managed by coach David Strang. The cost is $10 per playing date or 5 visits for $45. We have 100s of visitors each year, and usually about 25 players per day. We have open drop in play for all ages and levels and we also offer coaching with free pointers and private lessons available from $25. For more information contact our coach, Dave Strang.